Ten Together – Upper Noe Block Party (on Sept 15) is the 11th Annual Neighborhood Empowerment Network winner for Extraordinary Block Party. Congratulations everyone who participated! See the center’s daily schedule here. 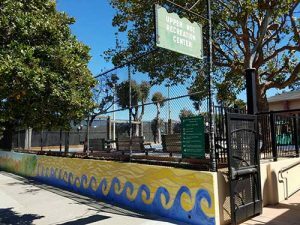 Renovated in 2008, the Upper Noe Recreation Center houses a full-size indoor basketball court, an outdoor basketball court, a baseball field, an outdoor tennis court, a fenced playground designed for children five and under, and a large auditorium that doubles as an indoor play area. The park is also home to Joby’s Run dog play area, which is open whenever the gates of the park are open, typically from 7am to 10pm. The Center can be rented for private functions such as birthday parties, athletic leagues, conferences, and public events. Please see the Recreation and Park Department’s facility rental page for more information. Help us keep the park clean, safe and beautiful for everyone to enjoy. If you see graffiti or a safety maintenance issue, please alert park staff or call 311. Please dispose of litter properly and pitch in keep the grounds free of debris. 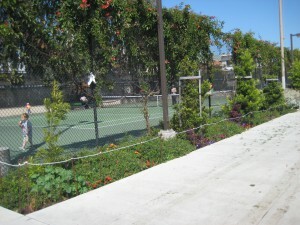 Upper Noe Recreation Center is managed by the San Francisco Recreation and Park Department, which is governed by the Recreation and Park Commission. The Rec and Park facility coordinator for Upper Noe Rec Center is Cheryl Woltjen. 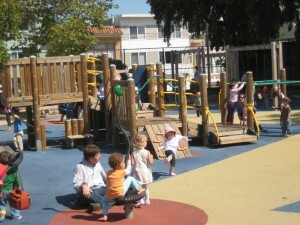 The Friends of the Noe Valley Recreation Center group contacts are here. To report suspicious activity at the park, please call Ingleside Police Station’s non-emergency number, 553-0123. To report an emergency 911.